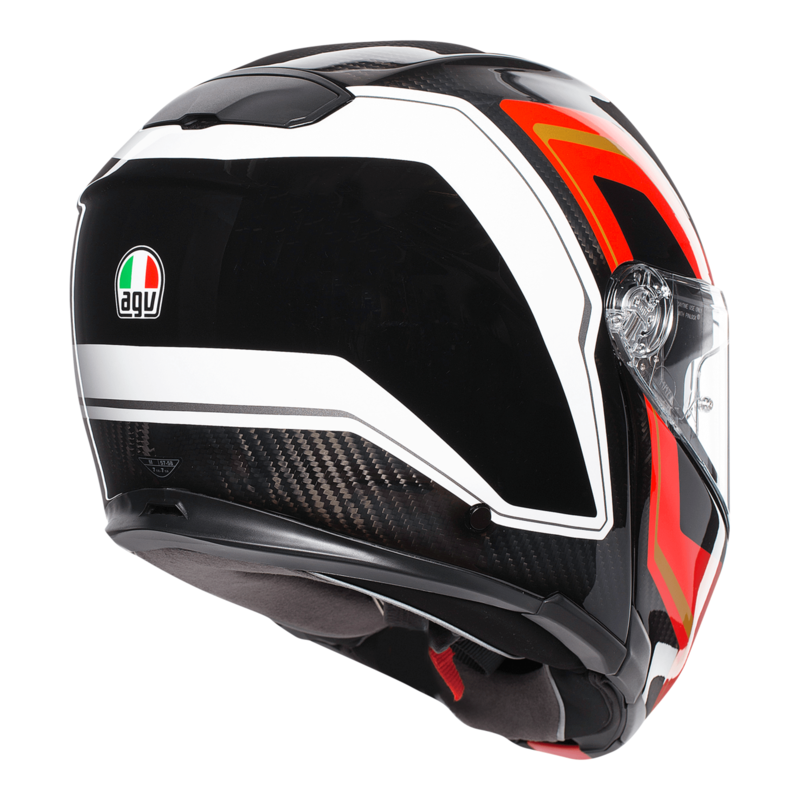 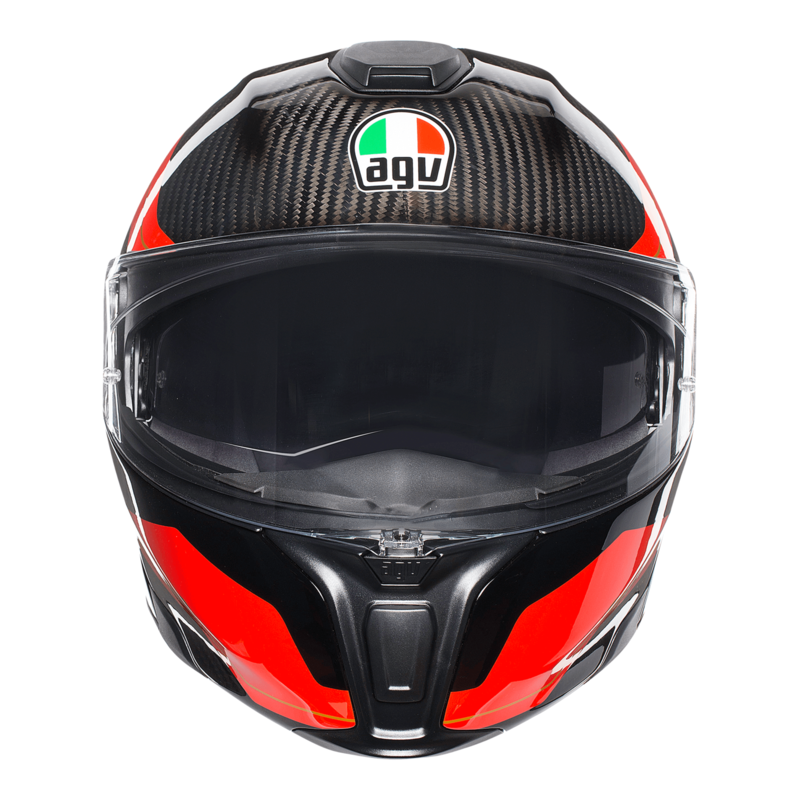 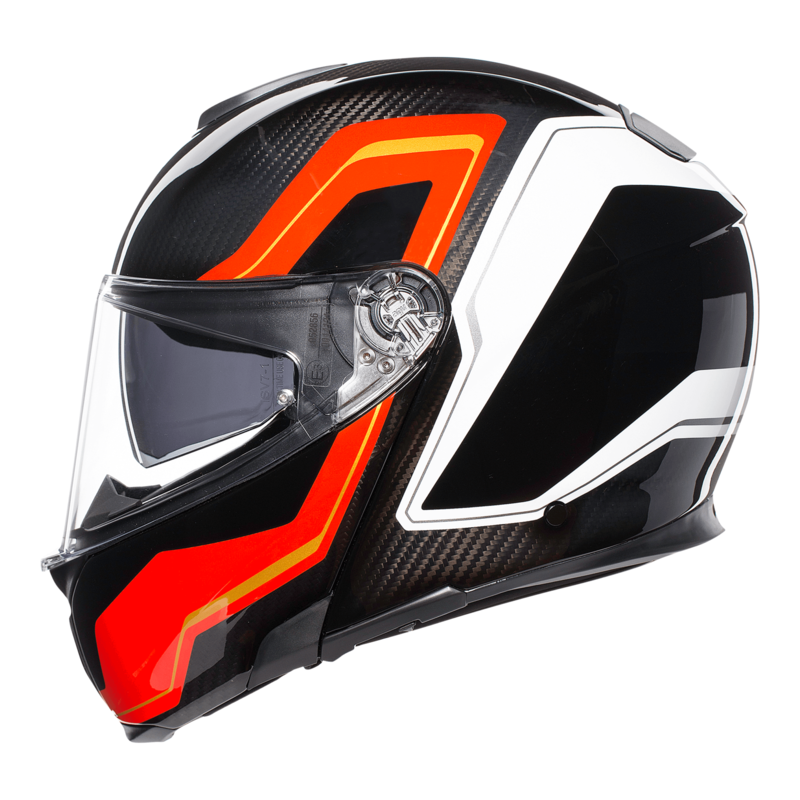 The AGV Sportmodular helmet shares some of the same features as the AGV Pista GP R but is in a flip front modular construction. 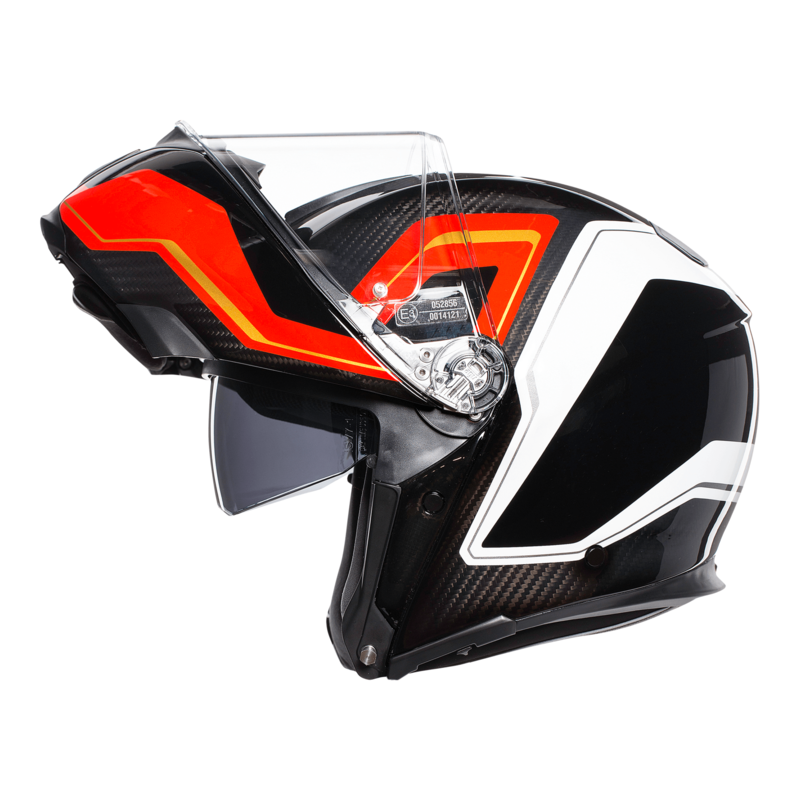 This is the lightest front flip motorcycle helmet in production. 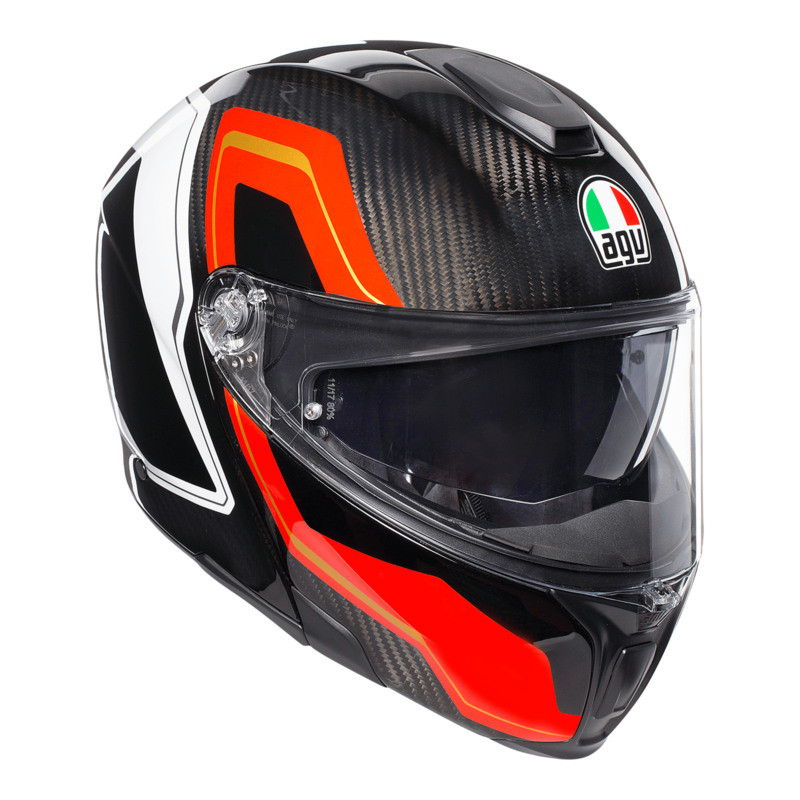 New for this year is the Sharp colourway.